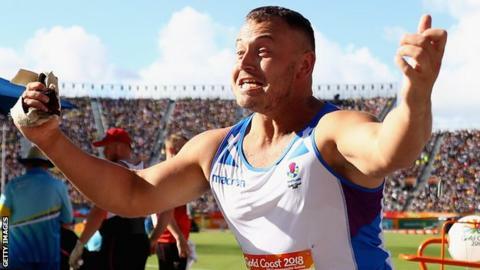 There was “nothing left” of hammer thrower Mark Dry’s hip when he won his second Commonwealth bronze for Scotland on the Gold Coast in April. It “throbbed” almost every minute of every day. He couldn’t walk more than a few steps without pain and was unable to tie his shoelaces. The operation left the 31-year-old in a wheelchair but now he is back tentatively throwing his hammer and aiming for the Tokyo Olympics in 2020. 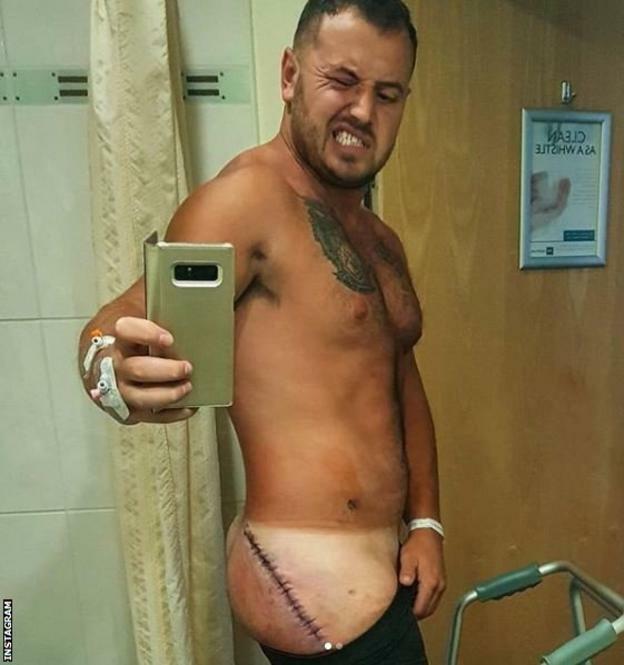 Two months after the surgery, he tells BBC Scotland about having his hip “resurfaced”, people telling him to quit, and channelling his inner Muhammad Ali. Dry produced what he called the “best throw of my career” in April to add Gold Coast bronze to his Glasgow 2014 medal, with his mark of 73.12m two metres further than anything else he had achieved since his first hip reconstruction. But once the glow of celebration faded, he had to confront the reality that his career could be over, should the latest operation that he had this summer not be a success. It has been a rough journey since the miracle of the Gold Coast. The realisation hit that it might be the last time I pulled on a vest, or captained Scotland, or competed for GB. There will be a point when that time comes but this made me appreciate how special those things are. When it is the last time, I want it to be on my terms. I have sat at home and have cried in pain, not sure whether I can do it. I’ve always believed I can come back, but some nights you do think “what am I doing, can I really do this, it is all good being stubborn, am I’m going to end up in a pretty bad way with not a lot to show for it?”. But those are brief moments and, the majority of the time, I’m in a really strong place. I have had my fair share of people who ask why I don’t just call it a day because I’m not exactly making “football money” in this sport. And some of my friends and family don’t want to see me push myself through too much pain, and leave myself with a leg that is going to cause me problems for the rest of my life. I get that. But the plan with this surgery is that I won’t need a replacement. 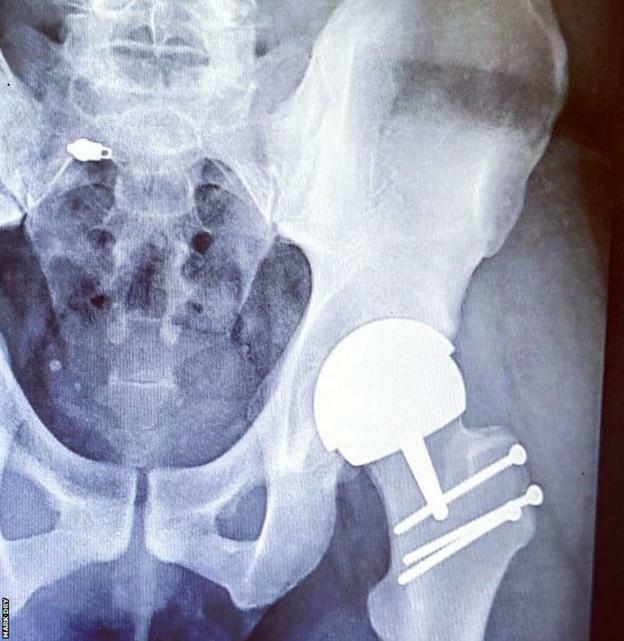 Dry has previously had two hip reconstructions and missed last year’s World Championships. But after scrabbling together enough cash, he finally went into hospital during the summer for a procedure that he hoped would not only preserve his career, but also improve his quality of life. It was a hip resurface, so they cut halfway down the femur, went in, and basically replaced the top of the ball and socket inside the hip in metal. The joint was basically worn out and destroyed. But we’ve had to cut a chunk of bone off the side and reattach it and that’s made it a little more complicated. There is still a lot of surgery pain and muscles not firing and things like that but the surgery couldn’t have been a bigger success. The screws are still in and need to come out in three weeks’ time but the bone has healed from where he has cut the femur so we are good to push forward. It’s uncharted ground. No one has really come back to the Olympics or an elite level from this. Dry’s surgeon and physio do not see any reason why he cannot make a return to elite competition, with the Tokyo Olympics in 2020 and the Birmingham Commonwealth Games two years later in his sights, The “dream scenario” is that he will be about to return to full training by the new year, having initially expected to be out until the spring. People say as soon as you stop enjoying a sport you should quit, but that’s absolutely not the case. Muhammad Ali cried and wept. So did loads of other world-class athletes who have had dark times and horrible problems. Quitting when you briefly don’t enjoy it is certainly not the answer, and for me proving people wrong is a big part of my drive and a big part of my desire. I wish it was purely for the love of it, but proving people wrong really does get me fired up and I really can’t wait to show people that I can make it back. I believe that is kind of my job now to show the way for people who gave up too early, who didn’t chase the dream. And while I still have a breath and an opportunity to fight I absolutely will. When you look back at the X-rays and you look at the scar, and the scans, coming back early would be an absolute win. But there’s a chance that my best could still be ahead of me. Before, everything was just survival mode, doing what I could, and given those circumstances I think I’ve done unbelievably. I have learned so much more about how inefficient I had to be through injury, but if I can turn that round with an efficient body… I’ve finally managed to learn from a lot of my mistakes and I think that could finally pay dividends. And if I quit now I will never know that. Tokyo is 100% the focus. I could be in the best shape of my life and be in with a shot of making a medal.